This a nice vintage baseball Glove marked "SWALLOW NEW STYLE SPECIAL MADE A.F. 2300 PROFESSIONAL MODE" in press script on the inside or around the inside of the pocket area. The gloves looks much like a catcher's mit measuring 13" long at it's widest point across the pocket area. Other than a few rubs on the outside and some inside cloth worn nearly off on the wrist band inside area, the glove is in very good shape. 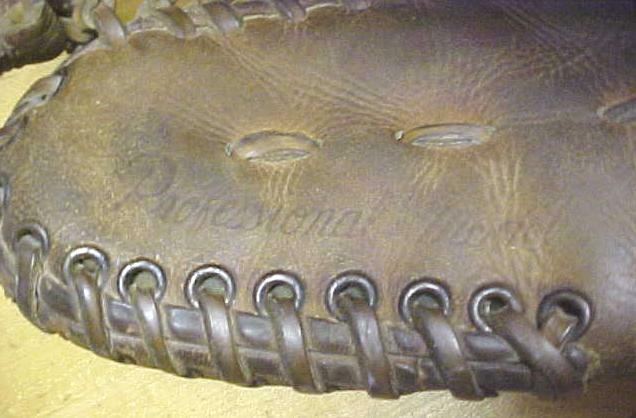 I have not been able to find much history on the glove at all, but I believe it to have been made in the 1950's. A nice comfortable glove, nicely cared for over the years. 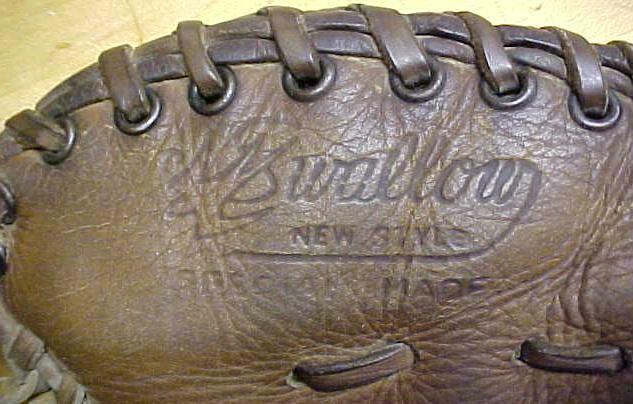 Items Similar To "Vintage Baseball Glove Swallow Professional"